The challenge facing the Argentine chair was to reach consensus in a tense and complex world context, continued the young diplomat. 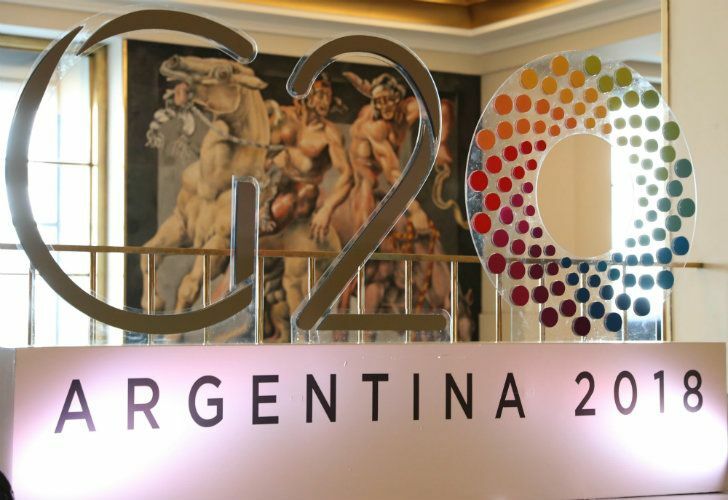 The soft power of an honest broker is a struggling Argentina’s main credential to head the G20, according to a seminar on the upcoming summit held at the Jockey Club last Wednesday. Argentina’s claim to head these heavyweights might seem tenuous as the smallest economy of them all apart from Africa’s only representative and possibly the least competitive, argued diplomat Ricardo Lachterman. Yet Argentina was also a rare case of a country actively seeking to enter the world at a time when most world leaders were moving in the opposite direction, placing their responses to their own societies above any international agenda. The challenge facing the Argentine chair was to reach consensus in a tense and complex world context, continued the young diplomat. A world which had still not recovered from the 2008 financial meltdown promoting the G20 from a conclave of finance ministers to a summit of leaders – in the last decade trade growth has lagged behind that of the economy as a whole after outstripping it in the previous quarter-century. Other trends also prompt leaders to look inward – the robot challenge to current jobs (the fourth industrial revolution), mass migrations arousing anxieties over national identities, the way social networks are eclipsing institutions, parties and even NGOs. In some ways Argentina was the ideal leader for this conflictive world, Lachterman contended – not a threat to anybody and needing to make multilateralism work in the interests of its own credibility, acting as a mediator on a Swiss model. He concluded by briefly listing the main focal points of the upcoming summit – sustainable and inclusive development (not least agriculture), the future of jobs (already big under the previous German presidency), education and infrastructure (Argentina’s most urgent need) with trade as the trickiest area – before handing over to Japan in a continuing process. Lachterman was preceded by Ileana di Giovan, an economist and international lawyer with a long track record in multilateral organisations who was present at the very first ministerial summit in 1999. The G20 accepted Argentina in its midst despite not being one of the world’s top 20 economies out of respect for its huge potential, she maintained. Her talk centred on tracing the evolution of the G20 on the basis of personal observation – from the Frankfurt Group of ministers in 1999 (a reaction to Asian flu wiping out some US$3.5 trillion from the world economy) to the first Leaders Summit in Washington DC 10 years ago, in the wake of the subprime and Lehman Brothers crises. She listed unequal growth, geopolitical tensions, the pressure for capital controls from rising United States interest rates and tax havens as the main challenges likely to persist beyond the Buenos Aires summit. The seminar was moderated by veteran diplomat Marcelo Colombo Murúa, who described the G20 summit (grouping 85 percent of global economic output, twothirds of humanity and three-quarters of world trade) as an unprecedented concentration of world leaders in this capital.